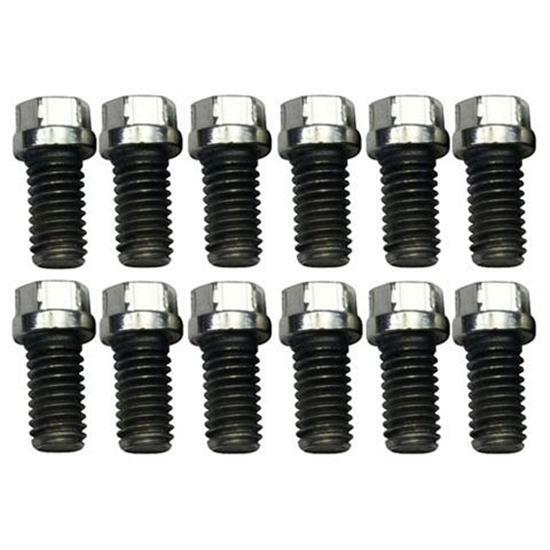 These stainless steel bolt kits will dress up your small block Chevy 262-400 engine while giving it corrosion-resistant performance. Hex head with 3/8"-16 x 3/4" threads. Also works on AMC 290-401, big block Chrysler 383-400 (exc. 426 Hemi), Pontiac 326-455, and Oldsmobile 330-455 engines.